We have a good news for you all, the good news is that Dent latest update has started sending verification code to "MTN NG", before now it was just 9mobile, Glo, and Airtel but right now it has started working with MTN so if your yet to Join Dent App for free data kindly use the below link on this post to register. Now, you will you be given 310 dents or 50 dents for referring yourself and tap on "REGISTER" to signup a new account with a new number (make sure the number can receive a verification code). After successful verification in which they will send you a code to input in the app, then you will given another 200DENTS for account opening, while your friend that refer you will be credited with 50DENTS. 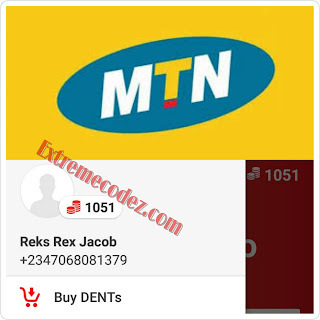 Dent latest update has started sending verification code to MTN NG.